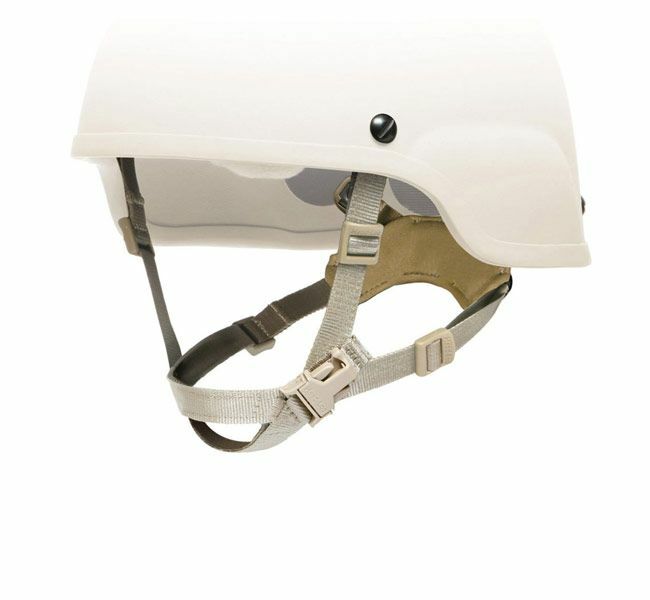 Designed to resolve the issue of NVG instability caused by helmets slipping on the head, the Ops-Core Head-Loc Chinstraps work with all Ops-Core helmets and are quick and easy to adjust for security and individual comfort. Intended for users conducting rigorous activities while wearing heavier NVGs like PVS-15 and ANVIS-9 mounted to front of helmet. Custom webbing weave provides greater durability and ventilation. Designed to seamlessly integrate with all Ops-Core helmets. Intended for users conducting rigorous activities while wearing lighter NVGs like the PVS-14, or having smaller accessory equipment mounted to the helmet. Unlike competitor designs, the Ops-Core X-Nape Chinstrap self-adjusts to the back of head for an ultra-clean, low profile. Without weight of heavier devices, provides same security and comfort as the Ops-Core H-Nape Chinstrap, with no 5th adjustment pt. required. Simplified strap geometry with straight force lines and unique design to eliminate loose ends.